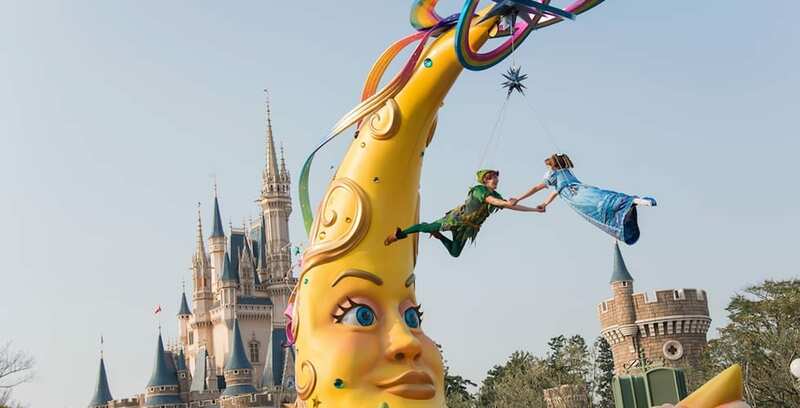 “Dreaming Up!” is a new daytime parade that immerses Tokyo Disneyland guests into a world of fantasy and imagination. Celebrating the park’s 35th anniversary, “Happiest Celebration,” this parade features Mickey Mouse and Pluto leading the way on a float pulled by winged horses as they guide guests into the world of dreams. The parade includes floats inspired by “Fantasia,” “Alice in Wonderland,” “Pinocchio,” the Disney Princesses and more. To learn more about “Dreaming Up!” and the “Happiest Celebration,” visit TokyoDisneyResort.jp/en. Are there benches along the parade route to sit on and still be able to get a good view of the parade? Going in 7 days !! !